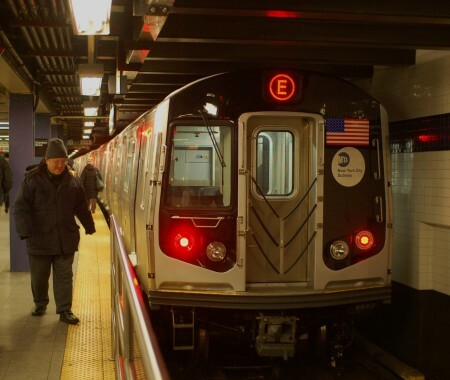 The (E) subway line received its first set of the new R-160 class subway cars over the weekend, and it went into revenue service this morning on the 7:03+ AM train out of Jamaica Center / Parsons Archer. It is scheduled to make several more round trips today and later tonight. 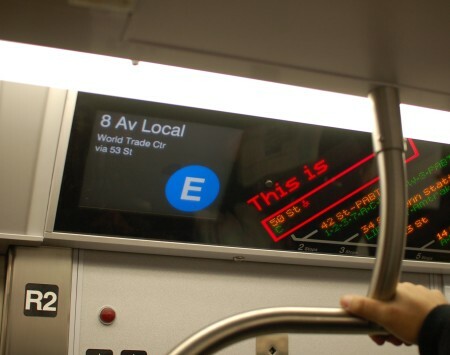 The (E) line joins the other lines which have run, or are currently running, this new class of subway cars since they passed their 30-day tests, including the (N), (Q), (W), (J), (M), (Z), and (L). 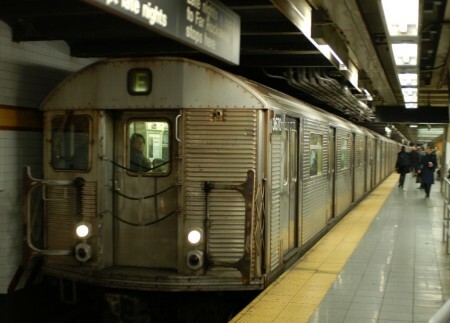 The arrival of the R-160 subway cars on the (E), in combination with ongoing shifts in car assignments as certain cars are retired, will likely mean fewer of the older R-32 class subway cars (see below) on the (E) in the upcoming days and weeks. This entry was posted on Monday, December 22nd, 2008 at 9:09 am	and is filed under railfanning, subway. You can follow any responses to this entry through the RSS 2.0 feed. You can leave a response, or trackback from your own site. She’s a beauty ain’t she. These new trains look really hott on the E line. 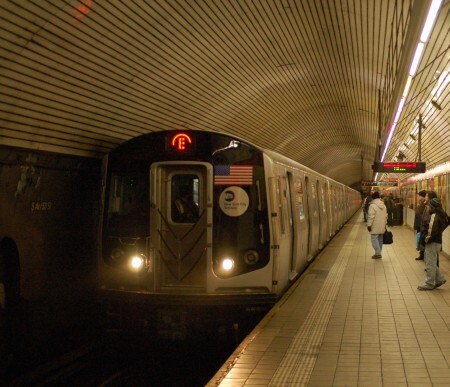 I’m a miss the R-32 trains that was on the E line. Those trains were always in good shape. Its crazy that they have to retire. Meanwhile, I feel bad for the A Line, because the R-44 trains breakdown too much and those trains are like falling apart. Should the A be next to receive the R-160 cars after the E Line is 100% equipped with the R-160s? If The C Line receives the R-160 trains, that line will most likely have to go to have 10 cars and also run more trains on that line and the A line. The A line has the longest route for the B Division, don’t get me wrong, and only running 38 trains? That’s not good at all. Samething with the C line, only running 18 trains, and their route is long. If you ask me, the A line should have got them first. I mean putting them on all the lines are good. But how can you forget the A line, with the sometime working R44s, I think the A lone deserves it. I remember when the 160 was tested on the A line and even until this day they are still being tested. Why not the famous A line? A train can’t get R160’s because the testing failed and the rockaway don’t meet the requirements for the r160. In other words, not enough power to power up the R160.